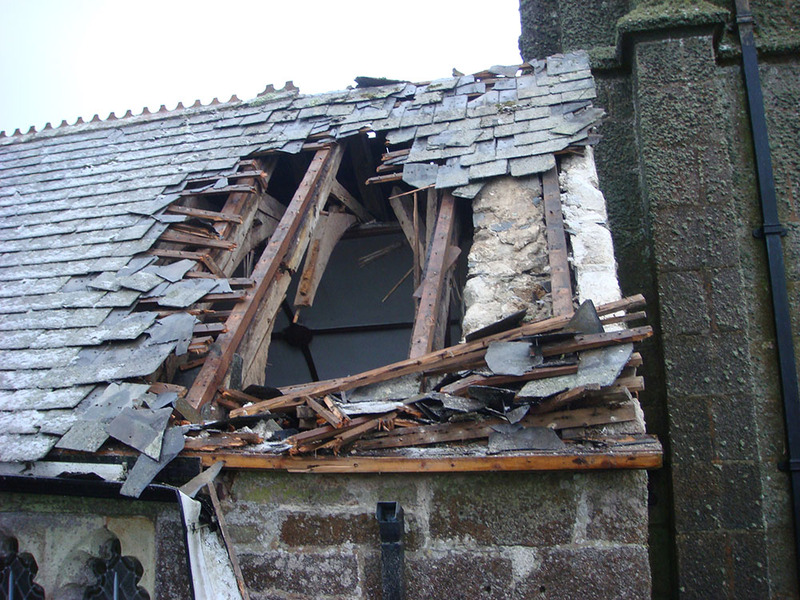 On the night of Monday 21st January 2013 a thunderbolt struck one of the pinnacles on the tower of St Odulph’s Church in the centre of the village of Pillaton. 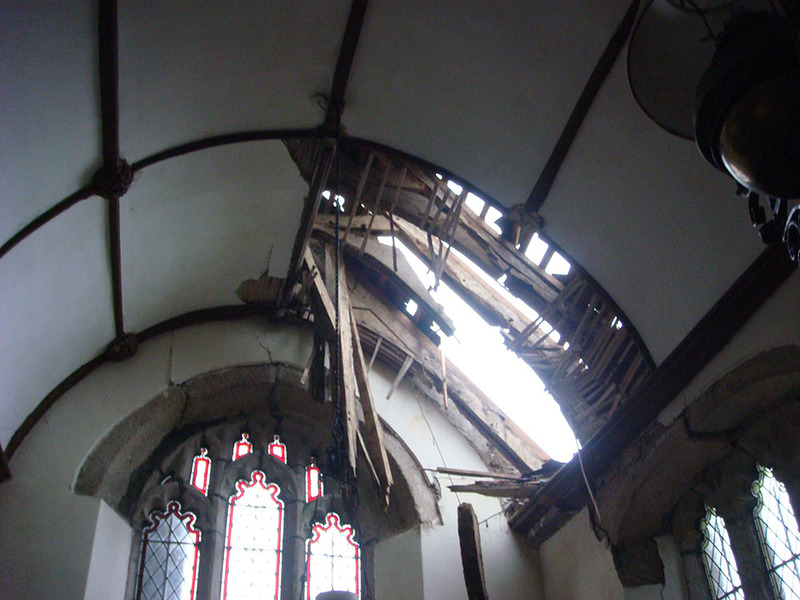 The pinnacle exploded and pieces of masonry crashed through the roof of the church causing damage not only to pews but also to some windows (fortunately not the glass) and the tiled floor, as well as leaving gaping holes in the ceiling and roof. 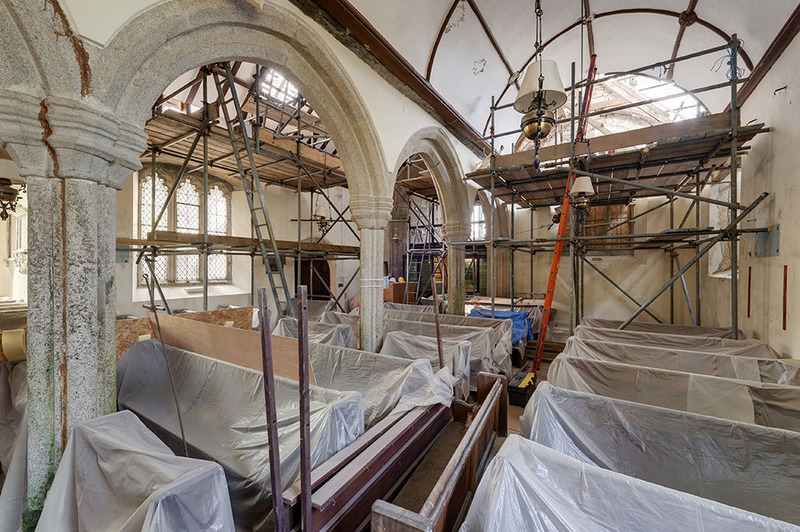 Within days the church was shrouded in scaffolding and waterproof sheeting and it remained in a protective cocoon for many months before the plastering within the church was dry and cleaning and redecorating could begin. 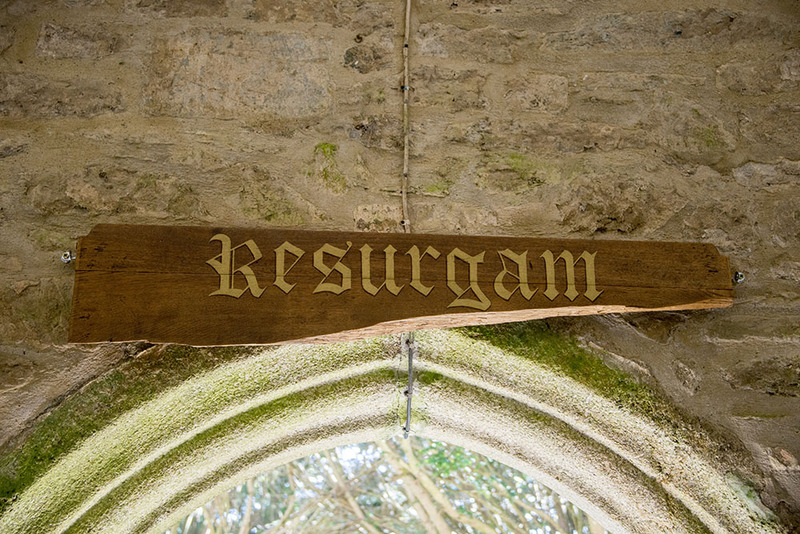 One of the damaged pews was painted with the word “Resurgam” meaning “I shall rise again” and this was placed above the inside of the porch door. The rebuilt pinnacle is now indistiguishable from the other three. 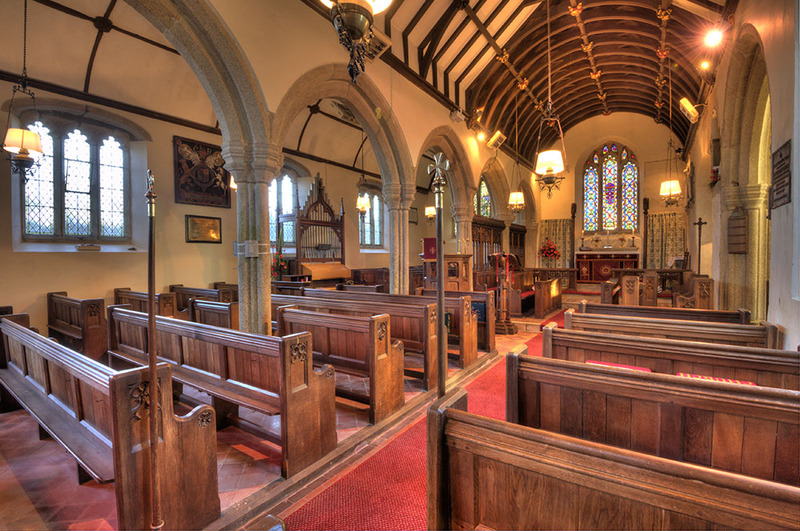 Teams of skilled craftsmen have invaded Pillaton Church many times since the church was re-dedicated by Bishop Bronscombe in 1259. At that date it was probably cruciform in shape and indeed it still retains one of its transepts. In the late 15th or early 16th century the cruciform shaped church was enlarged. The north transept was replaced by the present north aisle, and the present tower and south porch were added. At about the same time the south transept was either rebuilt or re-faced with the same granite ashlar used on the tower and porch. These impressive granite blocks would probably have been transported from Bodmin Moor on horse drawn sledges rather than in carts. It is interesting to speculate why expensive granite was chosen rather than local slate-stone. 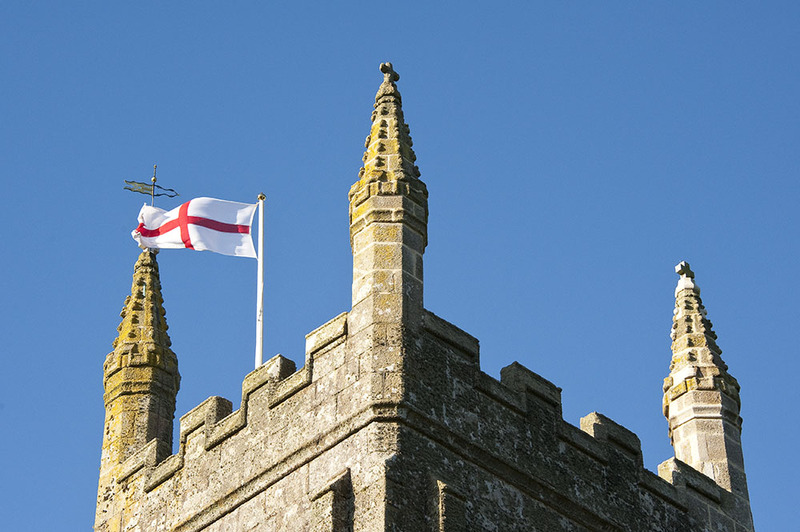 Were the parishioners trying to impress their neighbours? In the early 16th century carpenters would have been at work constructing a great rood screen to divide the chancel from the body of the church. The evidence for this rood screen can be seen in the projecting newel stair, on the south side of the building, that gave access to the rood loft. Again the projection enclosing the rood stair is constructed of granite ashlar. The loft itself was removed, probably either at the Reformation or during the Civil War, when again the parishioners would have seen upheaval and mess within their place of worship. Two of the three bells were recast in 1809 and the church was also whitewashed internally at this date. 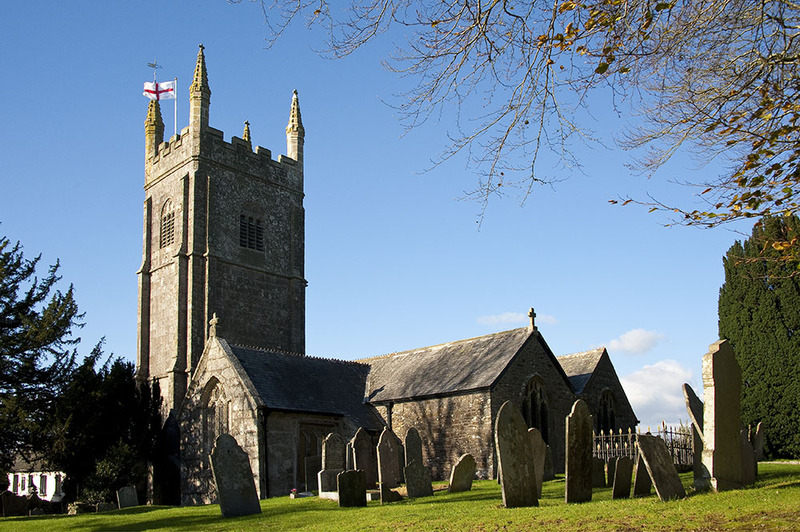 In 1877-78 under the direction of Henry Elliot of Plymouth, the church underwent its first major restoration. 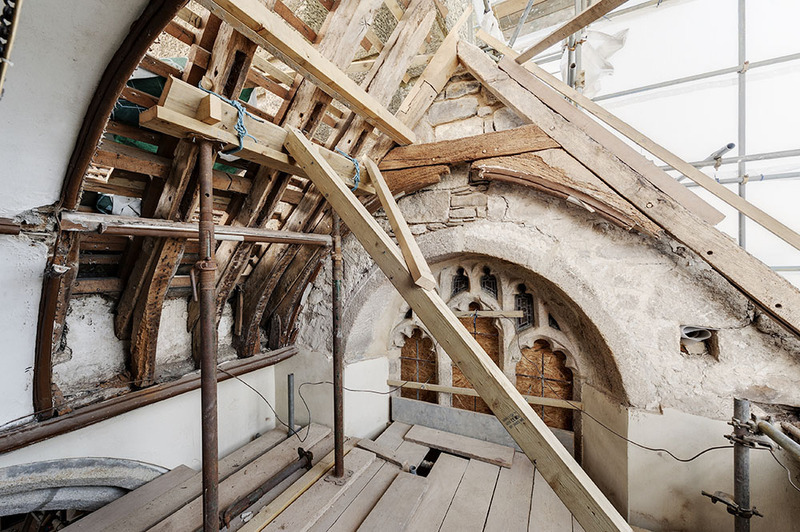 Raising funds for the restoration of the ‘seats’ took place in 1887 and tower roof, belfry floors and beams were repaired in 1899; this latter work cost £252 with a further £300 needed to restore the bells. The third bell was recast in 1909 with three further bells added by Mears and Stainbank and the total cost of this work, together with chiming apparatus and a teak ringers floor, was £404 12s. Despite such extensive restoration much original woodwork survives in the roof of the north aisle, south transept and porch, though not the rood screen. 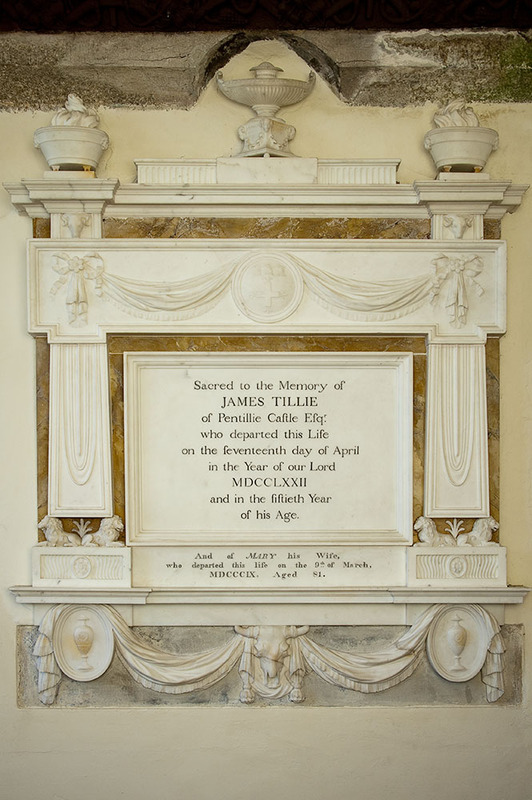 Pillaton church was finally re-opened in time for the Remembrance Day service in 2013, so you can again wander round and look at the fine 18th and 19th century marble tablets, several of which are to the memory of members of the Tillie family of Pentillie Castle. In the south transept can be seen an exceptionally large squint. 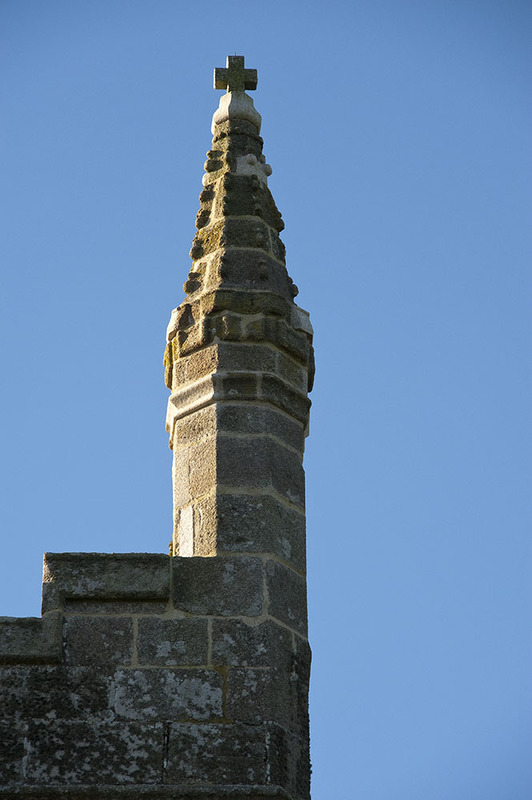 Many churches had a hole cut through the wall between a transept and the chancel so people in the transept could see what was taking place at the high altar, but in the case of Pillaton the squint is extra large. This may well represent the start of a south aisle that had to be aborted when pre-Reformation Catholic processions around the church ended c.1548. 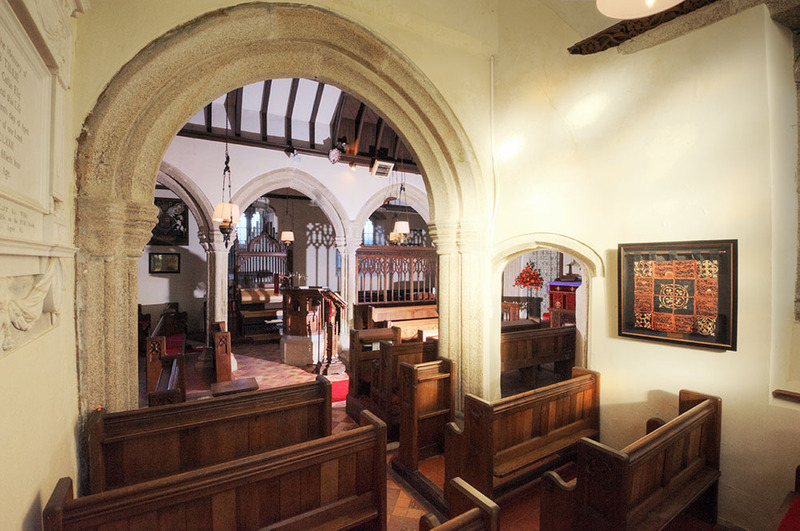 In the body of the church you will find two Royal Coats of Arms, both are painted in oil on wood boards. 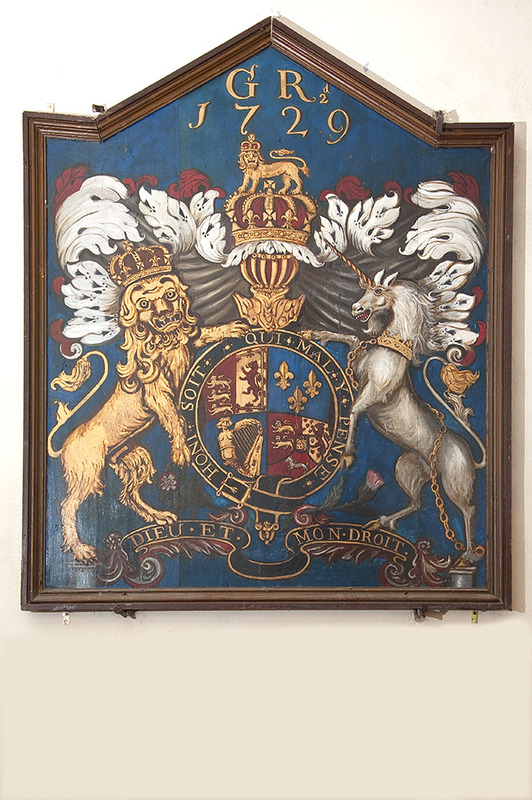 One has the coat of Arms of George II and is dated 1729. The other displays the arms of Charles II and is dated 1663. The church also displays the fragments of a sun-dial which is dated 1637 and a set of 17th century stocks.